Expected as it was, Rahul Gandhi was declared the President of the Congress party on Monday in an internal organizational poll which saw no other party leader challenging him to the top post of the Grand Old Party. The 47-year-old Nehru-Gandhi scion, who is currently busy campaigning for his party in Gujarat, is expected to officially take over the role of Congress president from his mother, Sonia Gandhi, onDecember 16. Sonia Gandhi had become the Congress president in 1998 and has held the post ever since, becoming the longest serving chief of the 131-year-old party. Rahul’s elevation comes at a critical point in his short albeit eventful career as a Congress politician. He is currently engaged in the party’s poll campaign for Gujarat – for all practical purposes he is actually leading the campaign against not the state-unit of the BJP but Prime Minister Narendra Modi himself – hoping that the Congress will finally win the western state that has stayed out of its reach for the past 22 years. But the result of the Gujarat assembly poll notwithstanding, the road ahead for the Nehru-Gandhi scion promises to be a challenging one. Rahul takes over as Congress president at a time when his party has its lowest tally in the Lok Sabha since independence – just 45 seats – and has been wiped out of power in a majority of Indian States. The morale of the Congress workers has hit its nadir due to the party’s successive defeats at the hustings and though his elevation could provide momentary relief, even euphoria, the longevity of this predictable upswing will depend on Rahul’s performance and indeed the performance of the party under his leadership. The new Congress president will not only have to steer his party’s campaign in over half-a dozen poll-bound states, including the BJP-ruled Madhya Pradesh, Chhattisgarh and Rajasthan, over the next year but he will also have to forge new pre-poll alliances in the run up to the 2019 Lok Sabha elections, in which he will face off against the formidable duo of Prime Minister Narendra Modi and BJP president Amit Shah. It is not immediately clear as to what role Sonia Gandhi will be offered within the party once her son takes over the mantle of the Congress president. The Congress constitution has no provision for appointing a person as ‘patron’, ‘guiding light’ or ‘mentor’ for the party. Senior Congress leaders say that the Congress Working Committee could, following Rahul’s elevation, meet to amend the party constitution and carve out a designation that “befitting of Sonia Gandhi”. Congress sources said that a reshuffle of the party’s team of national office bearers will be carried out sometime in January to give the AICC a new look – one that addresses the concerns of the party’s Old Guard which sees its future uncertain in a Rahul Gandhi-led Congress while also promotes the younger generation of leaders to greater organizational responsibilities. 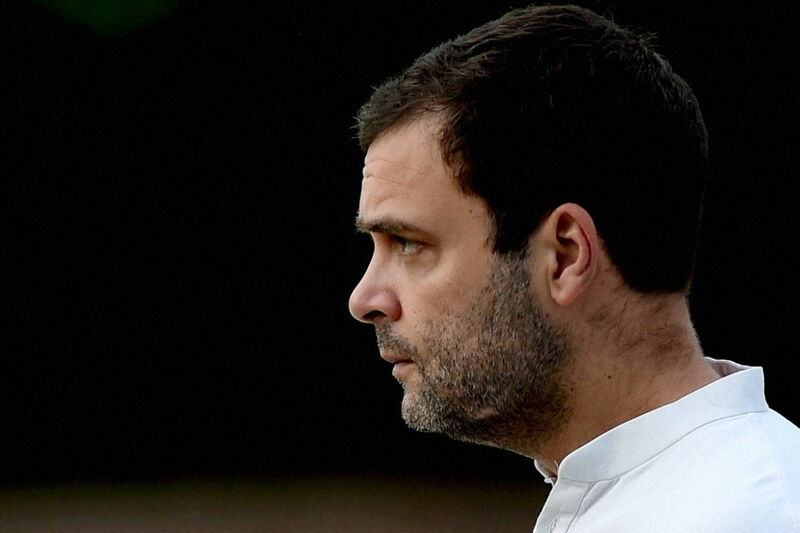 While Rahul is likely to continue relying on the advise and support of party’s senior leaders like former Prime Minister Dr Manmohan Singh, chief ministers Amarinder Singh, Siddaramaiah, Virbhadra Singh, senior party office bearers Mallikarjun Kharge, Ashok Gehlot, Ghulam Nabi Azad, Ahmed Patel and other members of the Old Guard, he could also assign key tasks to leaders like Jyotiraditya Scindia, Sachin Pilot, Ashok Tanwar, Milind Deora, Shashi Tharoor and old confidantes like Jairam Ramesh and Anand Sharma.